Our Honeycomb Beer is finally here, it’s beeeautiful! Brewer Dave has been very busy brewing our latest special beer this week. Our favourite beer nerd has combined caramalt and crystal malts with goldings hops to give a smooth golden ale with a slight floral hint. He then added the magic ingredient- local, Cumbrian honey from the Whitehaven and District Beekeepers Association to give a delicious, gentle honey flavour. As we all should know, Britain’s bees are in trouble (over 35 UK bee species are under threat of extinction) and a decline in bee diversity could have a serious impact on how our natural world functions. Bees pollinate lots of the food that makes our diets healthy (and tasty) so without them we wouldn’t be able to enjoy the apples in our lunchboxes or the tomatoes on our pizzas! Improve beekeeping in the county. Improve public relations and public education. Control disease and disorders in honeybees. We’re extremely proud to be brewing with delicious, local honey from an association that supports such a great cause. Casks of Honeycomb will be available next week and bottles will follow soon after. So what are you waiting for? Have a beer for the bees! The Ennerdale Brewery will be closed from the 21st December until the 2nd January. 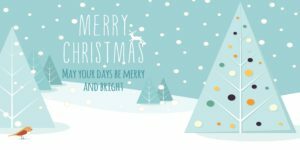 The Brewery Tap will be closed from the 23rd December until 27th December and again from the 30th December to the 2nd December. 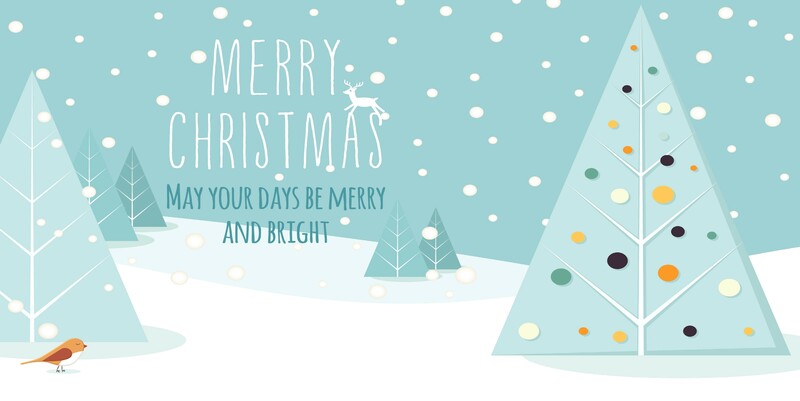 We wish all of our customers a very Merry Christmas! Next week we will be launching our new 2018 Autumn Ale and in keeping up with our traditional descriptive names for our craft ales this one will be called….. Red! 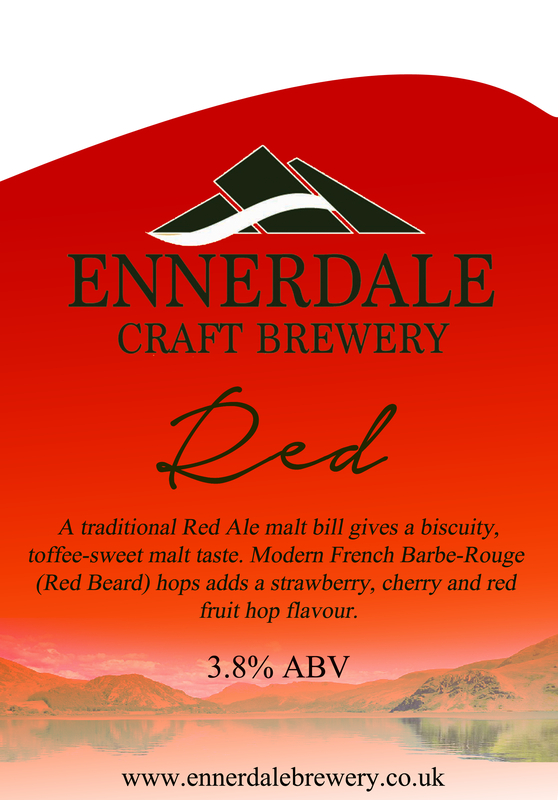 Ennerdale Red is a red ale (shock) made with Pale, Amber and Crystal malts along with roasted barley to give a smooth, malty-sweet taste. French Barbe-Rouge hops are used which give it a fruity, red berry hop flavour which is perfect for drinking on a breezy Autumn night. This ale is 3.8% ABV and only in casks, so make sure you wrap up warm, get those waking shoes on and call in the Brewery Tap to sample a pint… or three… hic! From the 19th of April The Brewery Tap will be reopening to our summer opening times. We are also excited to announce we will be opening for evening meals. So come and say hello! We always enjoy the reviews on YouTube from Stuart and Andrew’s Ging Real Ale Trail. Of course, we love it even more if they are reviewing our ale from Ennerdale Brewery! 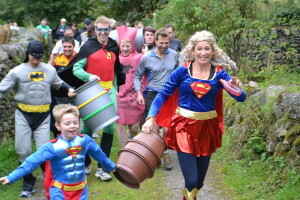 Take a look here to see the thumbs up they give to our Ennerdale Wild. It’s fantastic to have such support from Stuart and Andrew – they know their onions (well they know they’re beer!) and it was great to see them picking up on more and more hoppy aromas and subtle flavours as they supped on the Wild. Well guys, English Pride will be available again for the Six Nations tournaments and for the first time, we are doing a bottled version too! We hope you’ll enjoy this as well and can’t wait to see feedback on YouTube. 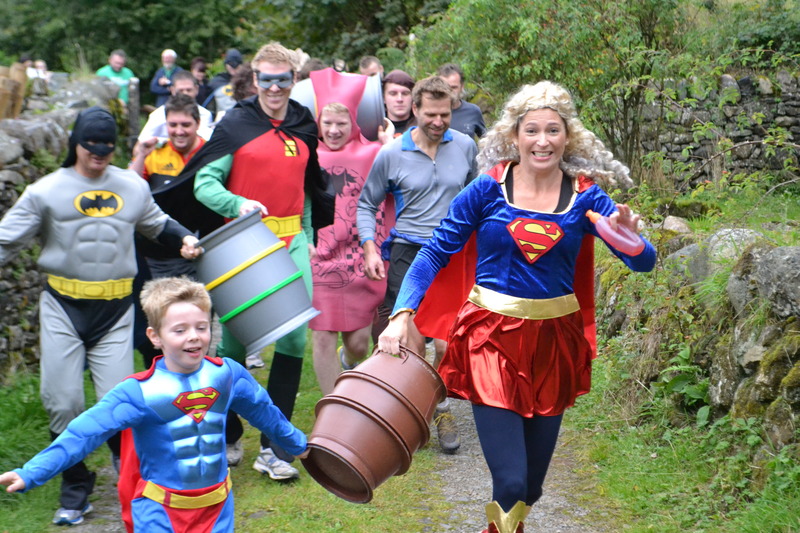 We hope we’ll be able to welcome you up here to the brewery later this year if you fancy a visit to Wild Ennerdale… Or perhaps you’d like to make up a team in our annual charity barrel run? We are very grateful for all the coverage and support that we get from real ale fans. Do keep in touch with us on Facebook and Twitter– we love to hear what you think and always take note of suggestions. Our Pale Ale is Back- And it’s as popular as ever!